County Pumps’ preventative maintenance servicing helps to ensure regular checks are made on each fuel installation, with the pump and line filters cleaned as part of our standard inspection. Where safe access is available, storage tanks are also dipped for water content and monitored for excessive build-up of dirt, sludge or debris to highlight when an internal clean may be necessary. The storage of diesel, gas oil and oils naturally has a build-up of residual sludge and dirt in the tank bottoms over a period of time and with the increase in bio fuel blends, this is accelerating the frequency that tank cleaning needs to be considered. Bio fuel is having a cleansing effect on residual dirt in the tanks, encouraging more bacterial growth and increasing the dirt and contamination in the fuel. This debris is then being drawn through to the pumps and resulting in filters blocking more frequently. The filters are designed to protect the quality of fuel being issued through to the vehicles but these gradually clog and slow the pump delivery speed down, resulting in delivery issues on site. This is not helped if tanks are also drawn low on product at any time, as the suction is drawing off the lower section of fuel, dragging more contamination through the line. Bio-diesel has the ability to hold water particles suspended in the fuel rather than separating off to the bottom of the tank, increasing the ambient conditions for bacterial contamination to be formed. More careful monitoring and increased cleaning frequency has resulted from this. 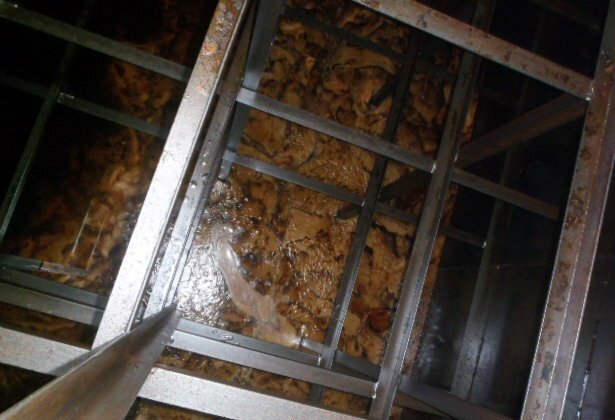 Fuel conditioners and varying types of absorbent filters are available to help minimise the impact on contamination, but this does not eliminate the need for full internal cleaning. County Pumps have always believed that a full internal clean is the only guaranteed method to ensure the tank is cleaned properly. 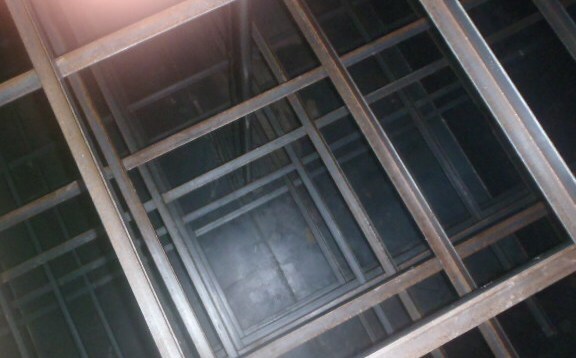 They have a team of experienced engineers who can undertake preparation works, disconnection of associated pipework and tank lid removal for internal cleaning on above and below ground tank installations to be carried out. We would liaise with a site for the storage tank to be drawn as low as possible on a scheduled day and a proposed clean would be carried out using a specialist clean crew team who will undertake man entry. Residual fuel and sludge levels would be bottomed out and internal jet washing undertaken to thorough clean the tank internally. All waste product washings are uplifted into a suction tanker and removed from site for disposal at an approved site. The tank is left clean and dry on completion for the site to inspect ready for new fuel to be accepted. Tank lids will be refitted and new gasket materials made up. This is planned as a one day operation to minimise downtime on site. We keep comprehensive files on cleaning undertaken and offer reminders to sites on future cleaning schedules. For some of our higher bio-mix users, we do operate an annual clean programme. We can help to keep your installation in good condition and keep your vehicles on the road. or email sales@countypumps.co.uk for further information.